Students at Collicot are celebrating diversity with a beautiful mural of a colorful and vibrant butterfly. The artwork was created after students read the book “All Are Welcome”. 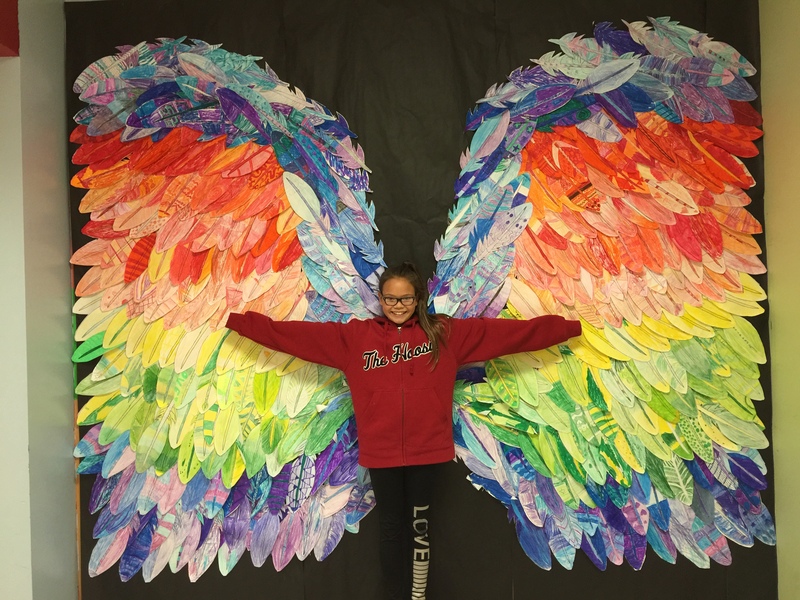 Each student colored a feather for the mural which symbolizes embracing everyone and making everybody feel welcome. Thank you to Mrs. Bernini, Ms. Tran and Mrs. Caruso for spearheading this project.